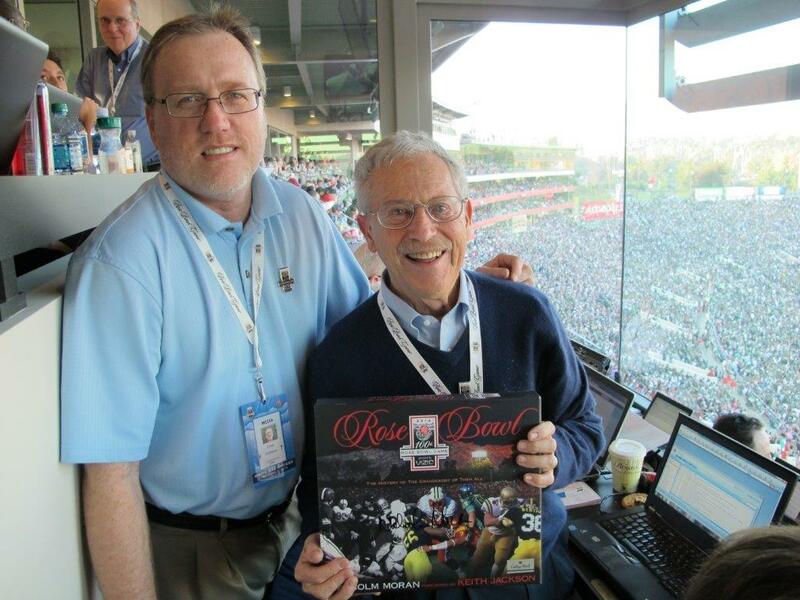 FWAA 2013 President Chris Dufresne presented a copy of the “Rose Bowl Vault” to Art Spander in recognition of his attending his 61st consecutive Rose Bowl game on Jan. 1. To read Chris’ column on Spander’s remarkable streak, CLICK HERE. Photo courtesy of Malcolm Moran. Congratulations, Art. You’re a true marathon man, old pal.